If you own a business, you know how important it is to maintain steady cash flow. Unfortunately, the ups and downs of normal business cycles, as well as unforeseeable hiccups in the economy, can make cash flow unpredictable. Add to this the fact that not all customers pay their invoices on time and you have the potential for serious problems. One solution to this common scenario is to work with a company that offers invoice factoring. Factoring receivables is a process that helps you rise above the typical cash flow problems experienced by businesses and get paid upfront. Get business financing without taking on new debt. Factoring receivables can actually help you improve your credit for reasons discussed in the next section. 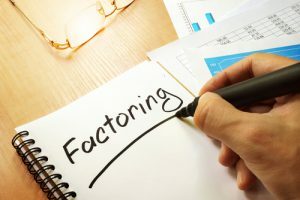 If you’re interested in using factoring to help your business, it’s important to find a reliable company that offers this service. Riviera Finance has been offering financial services to businesses for 50 years. Fill out the form to the right to get started with receivables factoring to help your business maintain a steady cash flow. Riviera Finance has been helping companies with cash flow issues for 50 years. Helps Your Company Grow. By providing you with enhanced cash flow, invoice factoring lets you grow your business more quickly. Whether you need to invest in equipment, marketing, additional space, or hiring staff, you’ll be in a better position to do so. Leverage Your Cash Position and Reduce Expenses. Invoice factoring with Riviera lets you reduce administrative costs associated with collections. It also helps you get more favorable terms with suppliers. Improves Your Financial Situation and Credit. You can use your improved cash flow to pay off debts and more easily meet your financial obligations. Factor your invoices. It’s your choice which invoices you want to submit for factoring. Get paid within 24 hours rather than having to wait for weeks or months. Let your customers make payments to Riviera. This is a simple process that can improve your business’s financial situation very quickly. Factoring receivables helps you escape the stress and uncertainty of waiting for slow paying customers to pay their invoices. By working with Riviera, you put yourself in a position to take control of your finances and help your business reach its true potential. To find out more about invoice factoring, contact Riviera Finance today.